The group provides pre-school education for children with special needs from birth to five years. The special needs include physical disabilities, developmental delay, behavioural and social problems that can cause difficulties for children and parents alike. Attendance at the Playgroup is free and our mini-bus can pick up and drop off children to and from their homes in most areas each morning. A considerable amount of our income is by voluntary contributions, and support comes from Bromley Department of Education which provides statutory funding for children over the age of three and provides services from an Educational Psychologist and Teachers from the Sensory Impairment Service. The Petts Wood Playgroup for Children with Special Needs started on the 28th September 1968 by a group from the Petts Wood United Reformed Church and the Methodist Church. 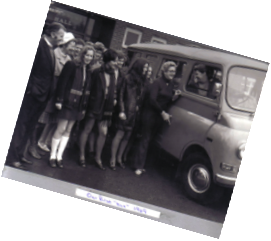 The fashions and our minibus have both changed rather a lot since then but we are still staffed by a team of highly motivated volunteers and we still place the needs and welfare of the children above all else. Sand, water, painting, drawing, construction, form boards, jigsaw puzzles, cause and effect toys, cooking, computer work, dough, gluing, chalks, pencils and pens. Climbing frame, soft play, ball play, skipping ropes, hoops, bikes, running and jumping games. The singing and music time would include nursery rhymes, dancing (ring a roses etc.) and band (including whistles, drums, bells etc). It is a time when all children are seated together. 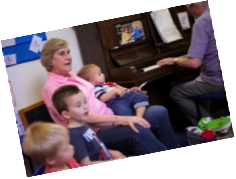 Each session of singing and music would begin with a roll call song and ends with the wheels on the bus and the goodbye song to allow the children to know its home time. Most sessions are accompanied by a pianist. Other curriculum activities can include visits to the ball pool, local farm, local park and horse riding. Children arrive and registration completed. Each session follows a regular routine allowing flexibility to children’s needs and interests. The Playgroup has a strong belief that young children learn best through play and encourage this by having projects and themes planned throughout every term. This can include colours or perhaps animals and these subjects can be learnt through fine motor work such as painting and drawing or perhaps through outings. Activities are planned and a rota is used to give all children attending the Playgroup the opportunity of joining in with all activities available. 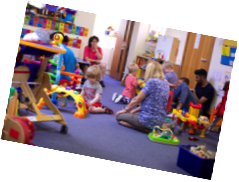 Each child that attends the Playgroup has an Individual Learning Programme which is devised by the Playgroup Leader and appropriate professionals. 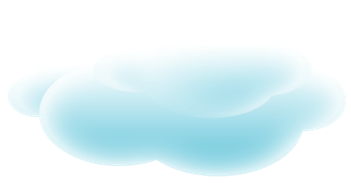 This enables the Playgroup to keep an accurate record of achievements and also means that staff can concentrate on areas of learning applicable to the needs of the individual child. Referral is open i.e. made by anyone involved with the care of an individual child, be it a GP, other professional or parents themselves. The family are invited to visit the Playgroup and this can be followed by subsequent visits at home. Parents are always welcome to stay or pop in. The Playgroup Leader and Deputy Leaders are very happy to use a contact book with which to communicate with parents the events of their child’s morning at Playgroup. This is particularly relevant with a very young child where the parent is unable to come to the Playgroup to see for themselves how their child participates in the activities going on. Ideally a child would start two mornings each week and gradually build up attendance. The Leader works closely with local groups for integrating special needs children into mainstream groups. It is entirely appropriate for children at the Playgroup to be assessed there for their future educational needs and the Leader will always be happy to talk to and advise of the procedures involved. Speech and Language Therapist - visits each week to see the individual children, to monitor and suggest work programmes shared with the parent/carer. Physiotherapist - visits 3 times a week to treat individual children and advises on gross motor skill development. The Physiotherapist can also arrange for a child to have Piedro boots, splints etc. as necessary. Occupational Therapist - visits regularly providing guidance on a child’s fine motor skills, positioning etc. and helping us to provide the appropriate equipment for each child. Educational Psychologist - visits at least fortnightly to provide educational advice and intervention when necessary. We also have access to the Service for the Sensory Impaired who provide valuable support when required. At the termly reviews of the children attending, all of the above professionals are invited with Portage to co-ordinate the care and service we provide. Playgroup starts and finishes on the first and last complete week of term. We feel this provides consistency for the parents, children and staff. Each session is from 9.30am to 12.30 pm Monday to Friday. Transport is available for those who require it, even on an occasional basis. Because of the wide ranges of children, care is taken to offer children sessions where they will have the most opportunity of mixing with their peer group. Fifteen children is the maximum number per session and a minimum of six to eight volunteers (in addition to full-time staff) will be caring for them.